The Bariatric Heavy Duty - Dual Axle Wheelchairs is a carbon steel framed chair that is specially designed for bariatric patients. 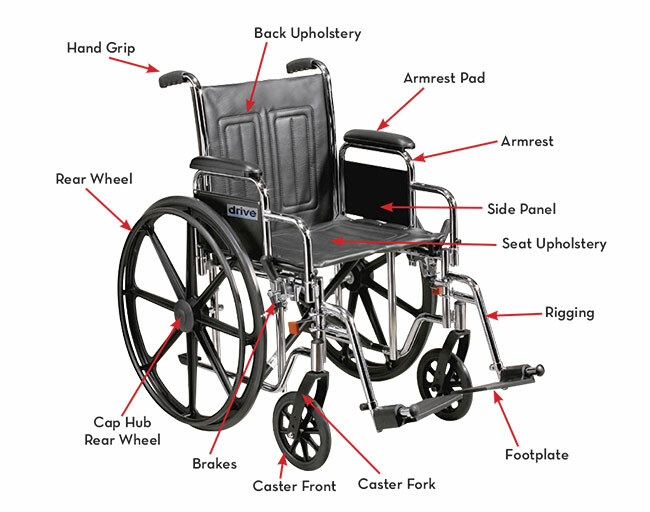 The dual axle, a standard on this wheelchair, makes transition of the seat to hemi-level easy. 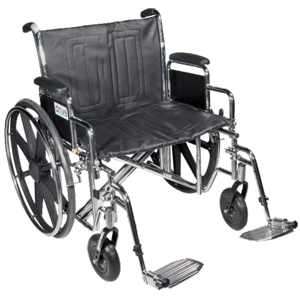 In addition, this wheelchair boasts double embossed vinyl upholstery on both the seat and backrest, as well as has special urethane tires mounted onto the wheels, for low maintenance care. 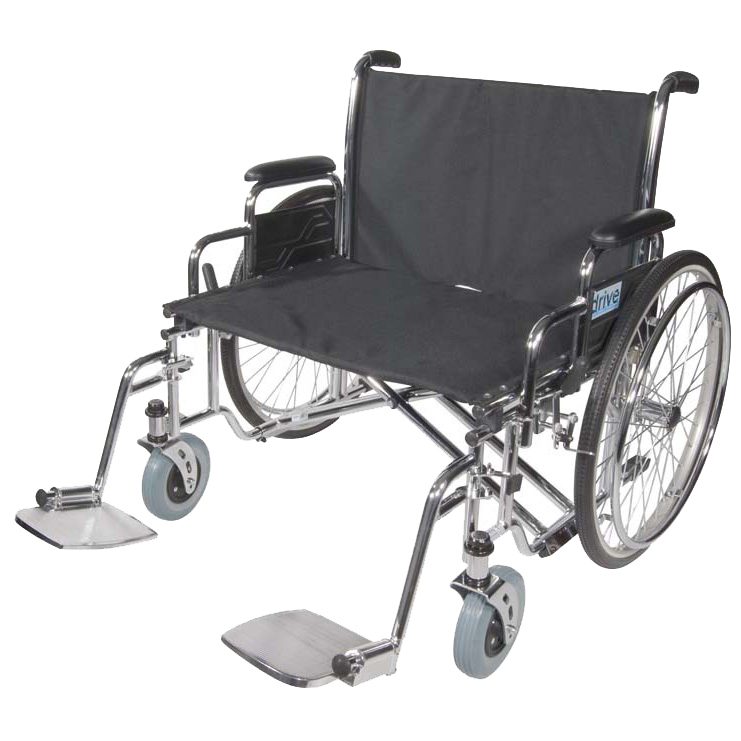 This Heavy Duty Dual Axle Bariatric Wheelchair is an excellent choice for safe, effective bariatric patient transport. The wheelchair is specially designed for strength, durability and easy cleaning and maintenance. Seat widths: 22” (BARIWC22); 24” (BARIWC24); 26” (BARIWC26); 28” (BARIWC28); 30” (BARIWC30) . Carbon steel frame with triple coated chrome for an attractive, chip proof, maintainable finish. Double embossed vinyl upholstery is durable, lightweight, attractive and easy to clean.